Stig Of The Dump has an extended-player with Pete Cannon in the bank and is just about ready to give up the goods. 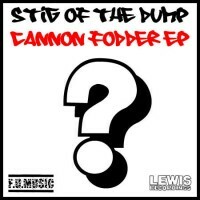 The only problem, their Cannon Fodder EP doesn't have a cover yet. If you think you can design something better than this rubbish question mark and want to have your work plastered all over the place, get to Photoshopping. Find out the details over at Stig's site.